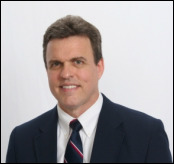 I'm George Stewart, a reverse mortgage specialist serving the entire State of South Carolina by providing the government insured Home Equity Conversion Mortgage loan product to homeowners, 62 years and older. My goal is give my clients the ability to safely "age in place"​ in their own homes with no monthly principal and interest payment required. ​I have served seniors in the Reverse Mortgage field since 2002, after seeing the many benefits my mother received after obtaining a Reverse Mortgage. You may have seen my Reverse Mortgage interview segment on the Prime of Life TV show. In addition, I have been a frequent radio guest and a featured speaker for retirement and financial planning events. I specialize in the traditional FHA insured Reverse Mortgage known as the Home Equity Conversion Mortgage, or HECM, and serve all of SC. It has been my pleasure to have been a contributing writer about Reverse Mortgages for publications such as Coastal Senior, Fifty Plus, Golden Life, Senior Beacon, Senior Sun, and Transitions Magazine. I am a member of the National Reverse Mortgage Lenders Association, and the National Care Planning Council. My previous affiliations have included the Financial Planning Association, the Reverse Mortgage Lenders Organization, the Senior Lending Network, and the Society of Certified Senior Advisors. My satisfaction will come from your satisfaction. I simply want to help you understand a Reverse Mortgage without any pressure or obligation. If you decide that a Reverse Mortgage is the best option for you, then I will walk you through the entire process to make sure that your questions and concerns are properly addressed. My goal is to help you enjoy the retirement you deserve and to help enhance your quality of life by providing financial security and peace of mind.